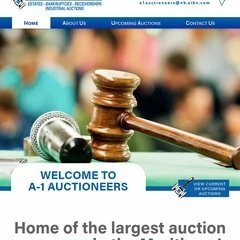 Topics: Appraisals, Buy & Sell, & Auctions. Its 2 nameservers are ns2.cityanddistrict.com, & ns1.cityanddistrict.com. It is hosted by Theplanet.com Internet Services Inc (Texas, Houston,) using Microsoft-IIS/7 web server. The programming language environment is ASP.NET. PING (184.172.213.148) 56(84) bytes of data. A ping to the server is timed at 93.9 ms.